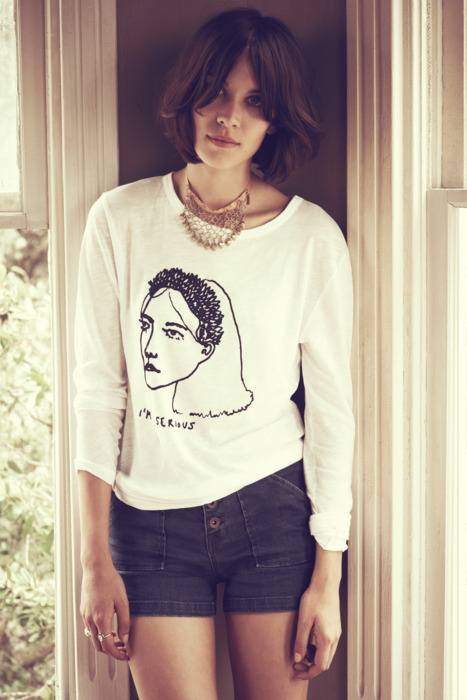 If you’ve been reading the blog or checking out our site, you probably already know that the latest Alexa Chung for Madewell collection launches this Thursday. But if you’re reading this now, we have a special secret to share: Our favorite style star drew this hilarious I’m Serious Tee herself just for the collection, and you can get it right now—two days before the official launch. To snag yours first, just click here.